Nosztalgia Direktíva was already present on the acclaimed compilation Festival der Genialen Dissidenten. Next to that he also performed live at the very first Enfant Terrible label night in April 2008 in Bruxelles Belgium. This is his long awaited debut EP. 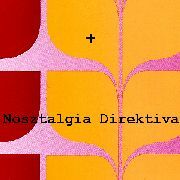 Nosztalgia Direktíva from Hungary released before under a different alias on the now defunct but still legendary Invasion Planete Records label from France. His style of electronic music is raw and unpolished. The metalic sounds are reminiscent of old industrial music, but the songs always stay close to the elektro side of things. Authenthic contemporary elektro as it was meant to sound.